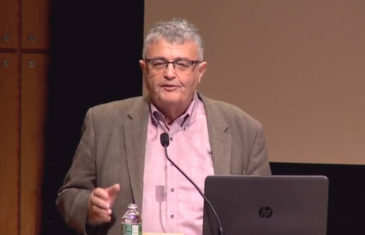 Historian Samuel Kassow discusses the ways in which the Jewish community of Russian was affected by the 1917 Russian Revolution and the lasting implications on Jewish life. 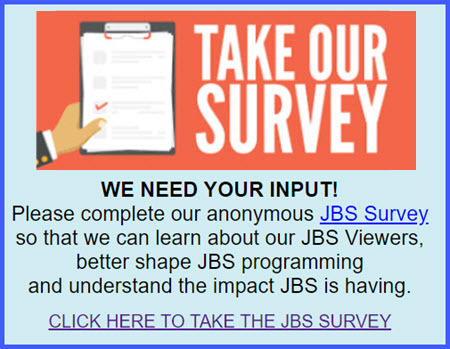 JBS exclusive of a program of YIVO at the Center for Jewish History in NYC. 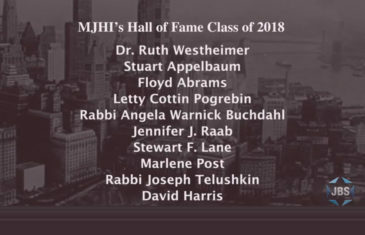 Floyd Abrams, Rabbi Angela Warnick Buchdahl, Letty Cottin Pogrebin and Rabbi Joseph Telushkin are among the 2018 inductees into the Manhattan Jewish Hall of Fame. A program of MJHI and Howard Teich from General Society of Mechanics & Tradesmen of NYC. 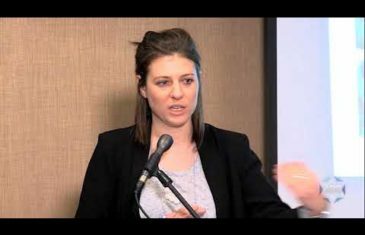 Jewish responsibility to both the Jewish People and to peoples of the world is discussed by Ethan Tucker , Tamara Newman and Meesh Hammer-Kossoy . 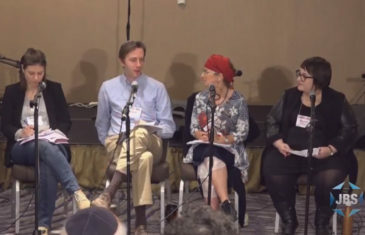 With Rachel Grand Meyer at LimmudNY 2018. 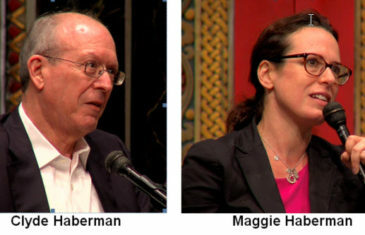 Longtime columnist for the NY Times Clyde Haberman and his Pulitzer Prize winning NY Times reporter daughter Maggie Haberman discuss their careers covering politics and Israel with Jewish Week’s Gary Rosenberg. 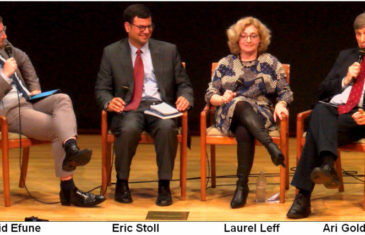 Jewish Week event at B’nai Jeshurun, NY. 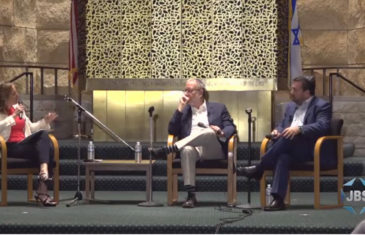 A discussion of anti-Israel bias in the NY Times with Ari Goldman , Laurel Leff, and Ira Stoll . With Dovid Efune from the American Sephardi Federation of NY. 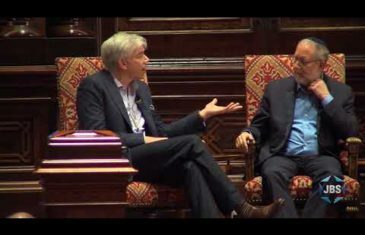 Yossi Klein Halevi, author of “Letters To My Palestinian Neighbors,” and TV journalist David Gregory discuss the Israeli-Palestinian conflict in the 21st Century with Rabbi Angela Buchdahl. By Jewish Week, UJA-Fed of NY & Central Synagogue, NYC. 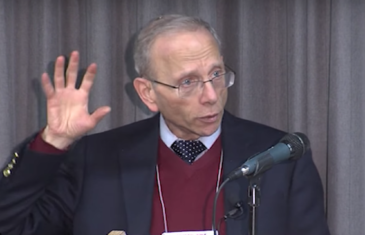 American Jewish Historian Jonathan Sarna provides an historical perspective on antisemitism in America and outlines the challenges presented by antisemitic propaganda in today’s United States. 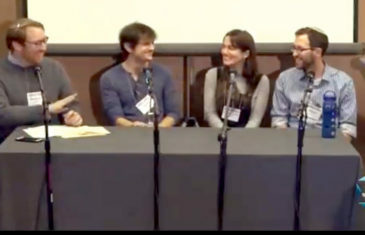 From Limmud NY 2018, Princeton, NJ.